Your family will be comfortable at Shalimar in North Myrtle Beach, SC where oceanfront two- and three-bedroom North Myrtle Beach vacation condominiums appease all tastes for a fabulous oceanfront North Myrtle Beach vacation. Most of these North Myrtle Beach rentals have high-speed Internet access so you can easily stay in touch with friends back home. Nicely decorated, the Shalimar North Myrtle Beach vacation rentals feature a well equipped kitchen with a dishwasher. There are DVD players in these North Myrtle Beach condos, too. The sparkling swimming pool is a favorite destination once you are settled into the oceanfront Shalimar. Wake up every day of your North Myrtle Beach vacation to a prestigious oceanfront landscape. Watch the sunrise from your balcony perch. There are fishing opportunities all around, from deep-sea fishing charters that can take you on half day excursions to inlet jon boat fishing trips during which you just might land a flounder. Your search for solitude is over. Reserve an oceanfront North Myrtle Beach vacation condominium at Shalimar today so you can enjoy a memorable North Myrtle Beach vacation with your family tomorrow. The Shalimar experience is memorable and when North Myrtle Beach, SC attractions, shopping, dining and championship golf courses are only minutes away from this oceanfront resort, why not treat your family to an exceptional beach vacation? 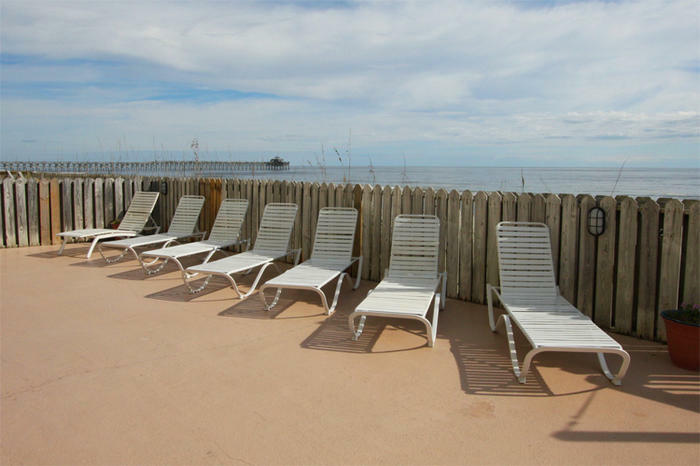 Vacation oceanfront at Shalimar the next time you come to North Myrtle Beach, South Carolina for some fun in the sun. Elliott Beach Rentals is not affiliated with onsite management or the HOA of Shalimar.